Submissions that are substantially similar to papers that have been previously published, accepted for publication, or submitted in parallel to other peer-reviewed conferences with proceedings may not be submitted to COLT, with the sole exception described below. The same policy applies to journals, unless the submission is a short version of a paper submitted to a journal, and not yet published. Authors must declare such dual submissions through the submission server. In coordination with the STOC 2019 PC chair, we allow papers submitted to STOC to be simultaneously submitted to COLT provided that the authors (1) explicitly state that the submission is under consideration for STOC, (2) immediately withdraw the COLT submission if the STOC submission is accepted, and (3) agree to allow the (anonymized) STOC reviews to be provided to the COLT reviewers once they are available. The authors will be allowed to submit a rebuttal to the STOC reviews a few days after the STOC reviews are available (via the submission server). Submissions are limited to 12 PMLR-formatted pages, plus unlimited additional pages for references and appendices. All details, proofs and derivations required to substantiate the results must be included in the submission, possibly in the appendices. However, the contribution, novelty and significance of submissions will be judged primarily based on the main text (without appendices), and so enough details, including proof details, must be provided in the main text to convince the reviewers of the submissions’ merits. Formatting and submission instructions can be found on the conference website: http://learningtheory.org/colt2019/. Submissions are limited to 12 single-column JMLR-formatted pages, plus additional pages for references and appendices. Please use the following: LaTeX style files and template. COLT reviewing is not double-blind, and program committee members will have access to author identities. It is expressly allowed to make available online a non-anonymized version of the submission or any other material that might reveal the author identities (e.g., on an author’s web page, on arXiv). However, in order to aid in minimizing the effect of initial impressions based on author identity, and in order to allow program committee members to seek double-blind reviews from sub-referees, submissions should NOT include author names or other identifying information. Use the “[anon]” option in the LaTeX template to suppress author names from appearing in the submission. To the extent possible, avoid including directly identifying information in the text. You should still include all relevant references, discussion, and scientific content, even if this might provide significant hints as to the author identity. But you should generally refer to your own prior work in third person. Do not include acknowledgments in the submission. They can be added in the camera-ready version of accepted papers. The deadline for submissions is 11:00 PM EST on February 1, 2019. Please contact the COLT program chairs at [email protected] if you have any questions about the policy or technical issues with the submission process. We looking forward to reading your submissions! Notification of acceptance or rejection will be sent out by Friday May 24, 2019.  For questions please contact the COLT 2019 open problems chair, Jake Abernethy at [email protected]. Copyrights © 2018 All Rights Reserved by Association for Computational Learning.